Bokeh refers to the technique of blurring the image to add to the aesthetic quality of a photograph. 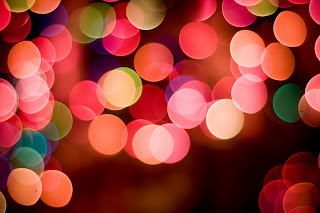 The word bokeh, derived from the Japanese word "Boke" (pronounced "bo-keh"), translates literally to "blur". When a photographer wants to show a softer image, bokeh will be somewhat off-topic without completely destroying the integrity of its definition. Often, bokeh is confused with the idea of an image "sharpness." Rather than describe the focus, however, is the bokeh blur background or foreground. When an image in a lens of a camera is "In Focus", the camera was positioned at the image point where most of the light converged on the image to a fine point. However, if an image appears out of focus, then the light appears as a blurred disk rather than a point. To create a background image is to blur the image out of focus without making it unrecognizable. When bokeh is not used properly, a table will make a combination of clean lines combined with the blur effect. In contrast, bokeh done correctly produces an image with no sharp edges. Instead, the blur produced by bokeh suggests the image without distinct borders.